A Supply Chain (SC) is a complex network of facilities with dissimilar and conflicting objectives, immersed in an unpredictable environment. Discrete-event simulation is often used to model and capture the dynamic interactions occurring in the SC and provide SC performance indicators. However, a simulator by itself is not an optimizer. 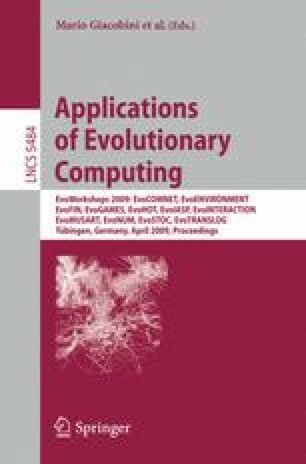 This paper therefore considers the hybridization of Evolutionary Algorithms (EAs), well known for their multi-objective capability, with an SC simulation module in order to determine the inventory policy (order-point or order-level) of a single product SC, taking into account two conflicting objectives: the maximization of customer service level and the total inventory cost. Different evolutionary approaches, such as SPEA-II, SPEA-IIb, NSGA-II and MO-PSO, are tested in order to decide which algorithm is the most suited for simulation-based optimization. The research concludes that SPEA-II favors a rapid convergence and that variation and crossover schemes play and important role in reaching the true Pareto front in a reasonable amount of time.